For each of the players sold Apple will donate $10 to RED. Apple has released a second red iPod nano, this time with an 8GB capacity. 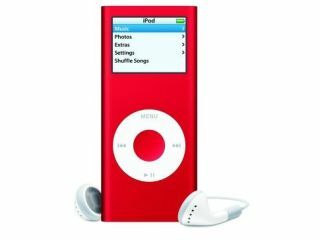 Apple previously launched a special-edition 4GB red nano in aid of the RED charity. For each of the players sold Apple will donate $10 to RED. So if you want an 8GB nano there's no longer any shades of Henry Ford - you can now have you nano in red as well as black. Both sell for £169. The RED organisation was set up by Bono and philanthropist Bobby Shriver to engage businesses in the fight against AIDS in Africa. It usually does this by getting companies to make uniquely branded products - with Motorola and American Express two names to have participated in the past.